A couple of weeks ago my friend and I were talking and we both realised that neither of us have read anything by Chinua Achebe or Wole Soyinka. Shameful I know! Well it's a New Year, and while I've never been big on resolutions, I'm really big on challenges. So I'm going to celebrate the icons. Once a month, I'll read an iconic African author. And by the end of the year, I will no longer say I've never read Achebe or Soyinka. Happy New Year! Bookshy, your blog is fantastic. Don't be shy, take a bow. 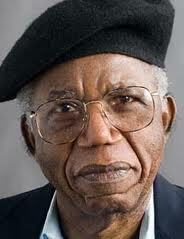 My favorite Achebe book is Arrow of God. It sometimes bristles that Things Fall Apart gets all the love. My favorite Soyinka is Death and The King's Horseman plus a lot of his poetry. Hi kinnareads. Glad you like the blog and thanks for the recommendations. I had no idea which of Achebe or Soyinka's works to start with. 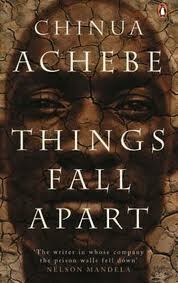 Things Fall Apart does seem to get a lot of love. I was actually going to read that first because that's the one everyone always talks about. Now I think I'll start with Arrow of God. Congrats on a great idea. I have to say that I've been reading quite a few Achebe books... but still hardly anything by Soyinka. I look forward to reading more hopefully this year as well. Good luck!